Thank you for your interest in the Magic Online Closed Beta. The Closed Beta lets you participate in testing and providing feedback on new Magic Online features and card sets. To participate in the Closed Beta you must have an existing Magic Online account and an existing Wizards Community account, both in good standing with Wizards of the Coast. Application for the Closed Beta is no guarantee of acceptance or participation in Closed Beta sessions. 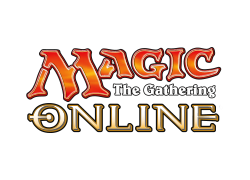 By applying for the Magic Online Closed Beta, you are agreeing to receive email and/or other communications regarding Closed Beta sent to the email address associated with your Wizards Community account, so please make sure it is up to date prior to signup. Participation in the Magic Online Closed Beta test is voluntary. Any feedback you provide to Wizards will remain strictly confidential. The descriptions and findings of this testing may be used to help improve Magic Online. At no time, however, will your name or any other personal identification be used. You are at liberty to withdraw your consent to participate in the Beta test and discontinue participation at any time without prejudice by submitting a request here. All players accepted into the Magic Online Closed Beta must read and agree to be bound by the Magic: The Gathering Online User Agreement and Software License, the Beta Conduct and Competitive Play Policy (found below), and the general Wizards of the Coast Code of Conduct. Players who are accepted into the Magic OnlineClosed Beta must keep the nature and content of this Beta test confidential. We would like to remind all Betausers that participation in the Magic Online Closed Beta is a privilege, and failure to follow the policies above may result in your removal from the current Beta test, prohibit you from participating in future Beta tests, and can result in administrative action against your production Magic Online account. Playing to win is okay; playing to win at all costs is not. Competitive play (both constructed and limited) is encouraged, but the goal is to test card interactions and not fine tune tournament decks. Decks should be designed to create common and uncommon game states, not win without interactions. Be respectful of players' time. Don’t join an event if you know you don't have time to finish. If something comes up and you have to leave, please inform your opponent, concede the game or match, and then drop from the event. Report all issues. If you find something you suspect is a bug or design issue, try to gather steps to reproduce the issue and report it (especially if it is not on the known issues list). In addition, if you feel someone is not following the Code of Conduct, report it. Focus on multiplayer when possible. Multiplayer matches create many interactions and are very valuable for testing. Please prioritize multiplayer above other types of play. Keep the Beta confidential. Streaming the Beta, posting screenshots from the Beta, or openly discussing the contents of the Betais not permitted and will result in you being banned from the Beta. Beta is a privilege. Any infraction of the rules above may result in the loss of your Beta privileges. Enforcement of the rules above is at the sole discretion of Wizards of the Coast and its employees. By clicking the "Apply Now" button, you are confirming you have read and accepted the Magic: The Gathering Online User Agreement and Software License, the Closed Beta Conduct and Competitive Play Policy (above), and the Wizards Code of Conduct and would like to apply for the Magic Online Closed Beta. Requires a Magic Online account in good standing, a Wizards.com login, and agreement to the above policies.